In: DELSU Postgraduate Admission Form Is Out – 2018/2019!!! 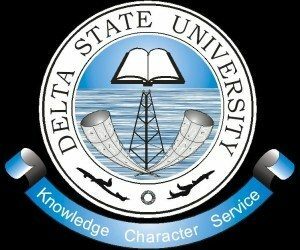 DELSU Postgraduate Admission Form Is Out – 2018/2019!!! 1. Candidates for postgraduate studies must have a degree or its equivalent from a Senate-recognized institution. They must have also obtained at least five (5) credit passes including English Language and Mathematics in WASC, NECO, GCE (Ordinary Level), or NABTEB at not more than two sittings. Pass in English or Mathematics is not acceptable. Also, ACE and TC II are not acceptable. (No equivalent to WASC, NECO, GCE or NABTEB). Please note that there will be no waiver for anybody seeking admission into any of the programmes. 2. A candidate applying for Ph.D. in any programme must have obtained at least a weighted average score of 60% overall or a CGPA of 3.50 in a scale of 5.00 . 3. Candidates applying for academic Master Degree (M.Sc., M.Ed., M.A. and LL.M.) must be holders of bachelor’s degree in the relevant discipline from the Delta State University or any other accredited university with at least “Second Class Honours (Lower Division) degree recognized by Senate. 4. Candidates applying for professional Master Degree must be holders of Bachelor’s degree in relevant discipline from Delta State University, Abraka or any other accredited university with at least a Second Class Honours (Lower Division) degree recognized by Senate or a Higher National Diploma with Upper Credit from a Senate-recognized polytechnic. 5. Candidates for Postgraduate Diploma must be holders of a bachelor’s degree in the relevant discipline from the Delta State University or any other accredited university with at least a “Third Class Honours” degree or a HND (Lower Credit) recognized by Senate. 6. Candidates are advised to read the instructions on the home page of the Website com before completing the Application Form.